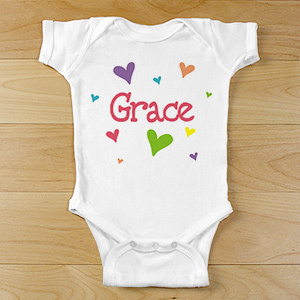 Personalized, custom embroidered baby apparel by GiftsForYouNow. 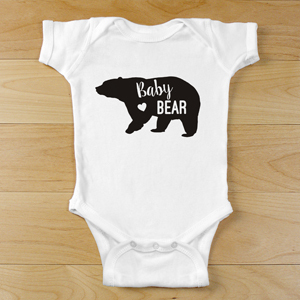 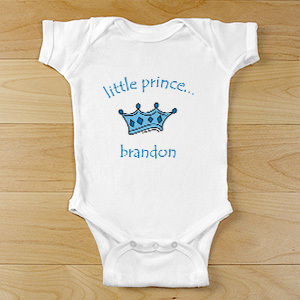 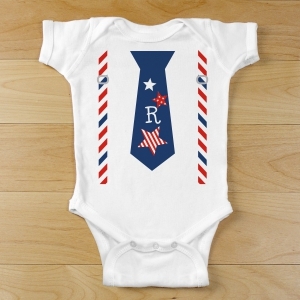 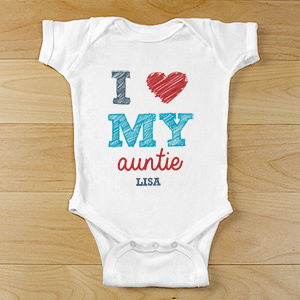 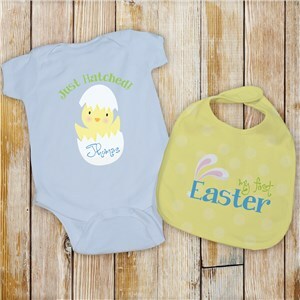 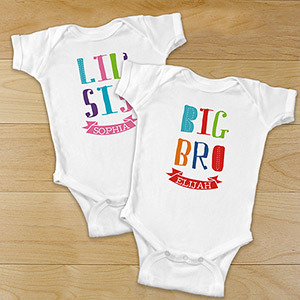 From bibs to onesies and personalized baby bodysuits, our selection of personalized clothing for babies is unmatched. One of a kind designs for newborns and infants, each with the ability to add a personal message or name. 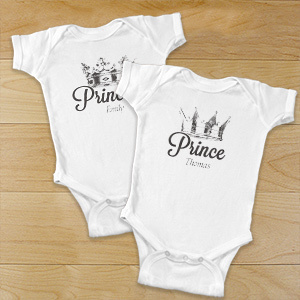 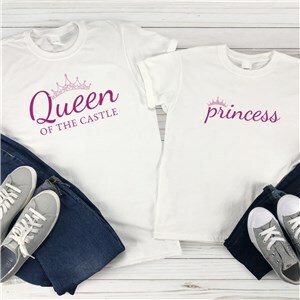 Aunts and Uncles love our “baby princess” and “little man” bibs, while grandparents go crazy for our customized baby bodysuits personalized with their grandchild’s name. 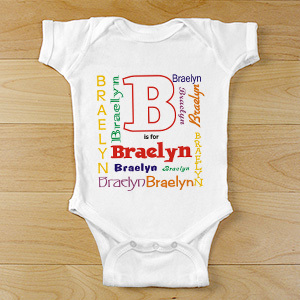 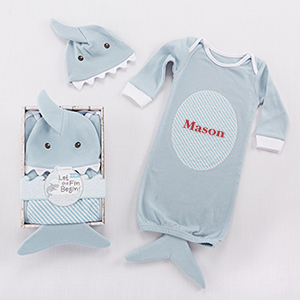 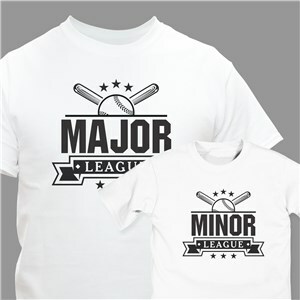 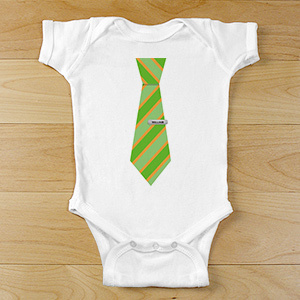 Pick out the perfect personalized baby shirt for your precious little one! 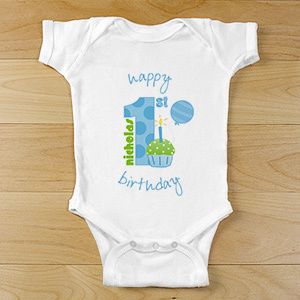 This was a birthday gift and the recipient absolutely loved it. 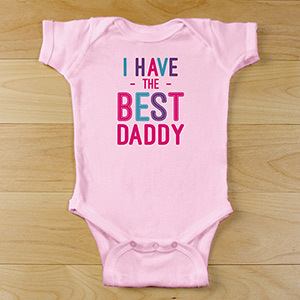 This was the 2nd one I purchased this month as gifts. 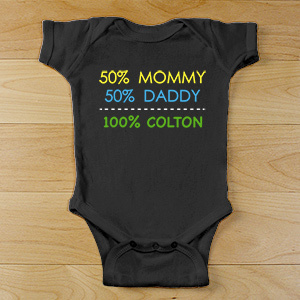 I just love personalized gifts so this shirt was a hit.